Katrina Kaif simply knows how to adorn any clothing in style! 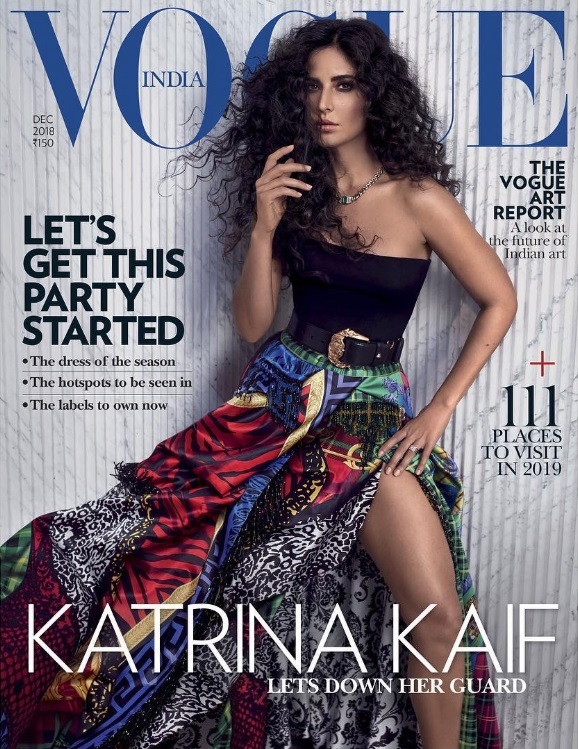 She is looking absolute sizzling in the December cover of Vogue India. Katrina was recently seen in ‘Thugs of Hindostan’, which didn’t go well in the Box Office. She will be seen next in ‘Zero’, along with Shah Rukh Khan and Anushka Sharma which will come out on 21st December, 2018 on occasion of Christmas time. She’s also engaged with another big next project next year which is Salman Khan’s ‘Bharat’ coming out next year during Eid.